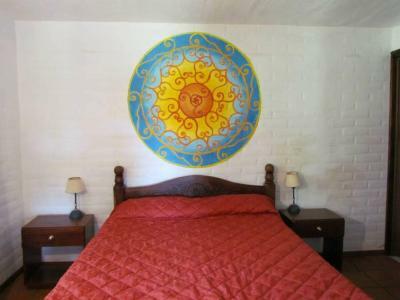 Lock in a great price for Cabañas San Miguel – rated 9.6 by recent guests! 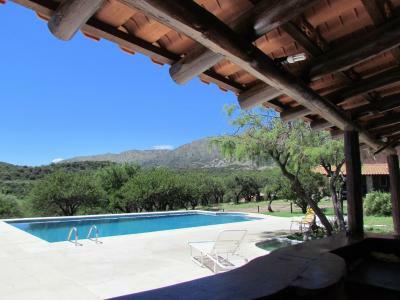 A large parkland with local vegetation and impressive mountain views can be enjoyed at Cabañas San Miguel, located in Merlo. 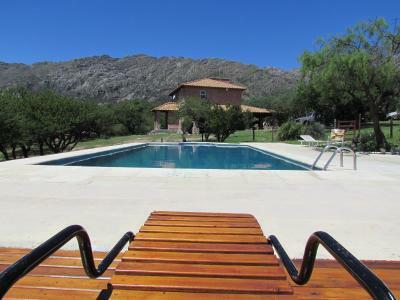 The property features free WiFi access and an outdoor pool. It is 1,650 feet from Piscu Yaco Dam. 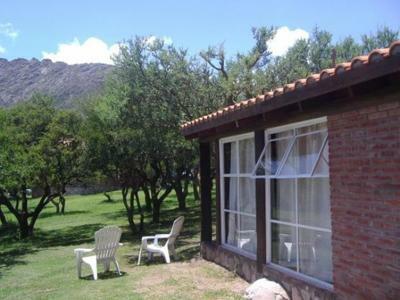 Bungalows at Cabañas San Miguel are comfortable and fully furnished. 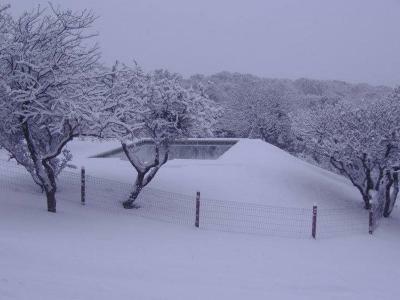 They include well-equipped kitchens and seating areas with flat-screen TVs and cozy fireplaces. All of them have lovely views of the garden and mountains. Guests staying at Cabañas San Miguel can enjoy the property's fitness center or request a massage treatment. There is also a sun deck, a bar, a children's playground and a games room. 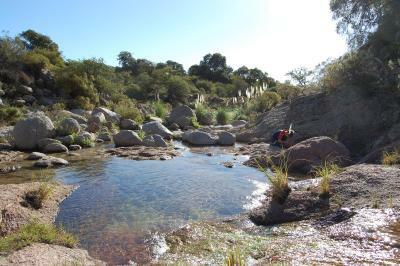 An array of activities can be enjoyed on site or in the surroundings, including bird watching and canoeing. 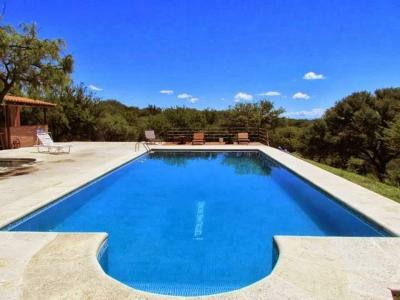 This property is also rated for the best value in Cortaderas! Guests are getting more for their money when compared to other properties in this city. 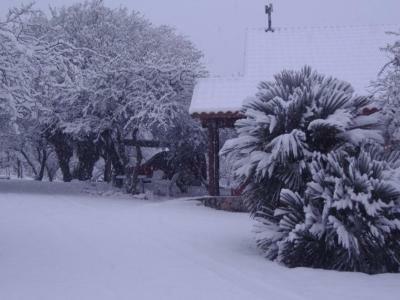 When would you like to stay at Cabañas San Miguel? 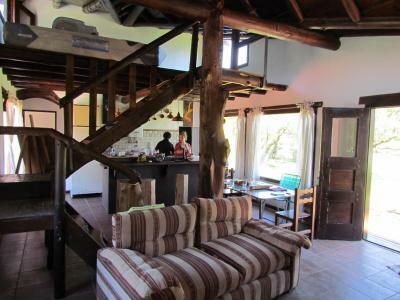 This small bungalow has a well-equipped kitchen, a seating area with a flat-screen satellite TV and a complete bathroom. 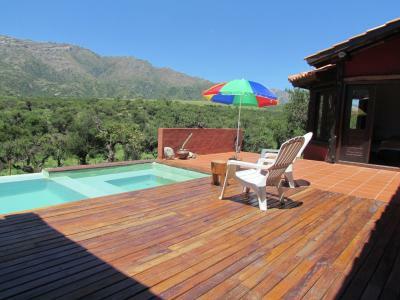 It also features lovely views of the garden and surrounding mountains. Bed linens and towels are provided. 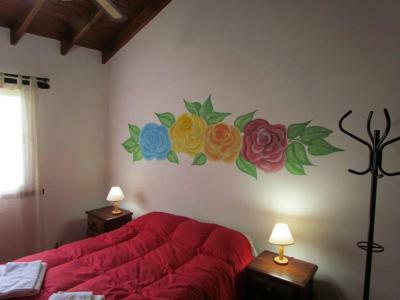 This bungalow has a well-equipped kitchen, a seating area with a flat-screen satellite TV and a complete bathroom. 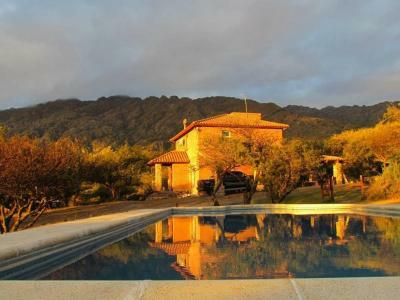 It also features a cozy fireplace and lovely views of the garden and surrounding mountains. Bed linens and towels are provided. House Rules Cabañas San Miguel takes special requests – add in the next step!